A holiday in the Czech Republic that contains everything? Take a trip to the Jizera Mountains! Do you want to experience an unforgettable holiday in untouched nature? Do you want to draw new energy and breathe in clean mountain air in quiet surroundings? Then come to the Jizera Mountains, where all this is on offer! You can visit the “Jizerky”, as they are familiarly called not only by the locals but also by visitors, all year round. Naturally, the main seasons are summer and winter. Your breath will be taken away in winter by the romantic snow-clad valleys and hills studded with log cabins, in summer by the deep forests and numerous waterfalls that have appeared since the spring melt, mountain meadows and peat bogs. 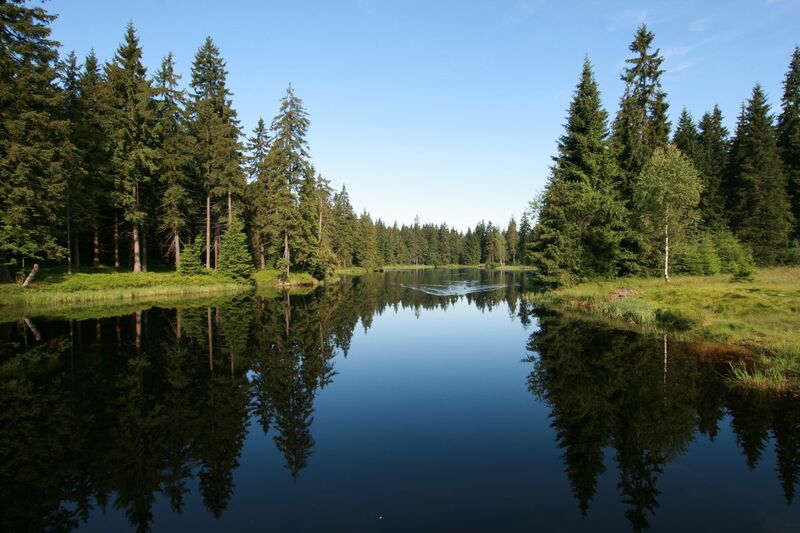 Nature in the Jizera Mountains is very varied and is home to many protected species of plants and animals. With a little luck you could come across some of them while wandering through the Jizera countryside on your family holiday. The Jizera Mountains - it isn´t just beautiful North Bohemian countryside. On your "journey of exploration", whether it be a family holiday or a romantic weekend, you will come across historical monuments, well-known and now almost symbolic lookout towers crowning many of the hills as well as regional gastronomy, craft markets and many regional events which bring the local life closer to you. You will also have the unique opportunity of meeting the locals, who will be more than happy to talk about local traditions and habits and will also share some tales about the mountains with you. 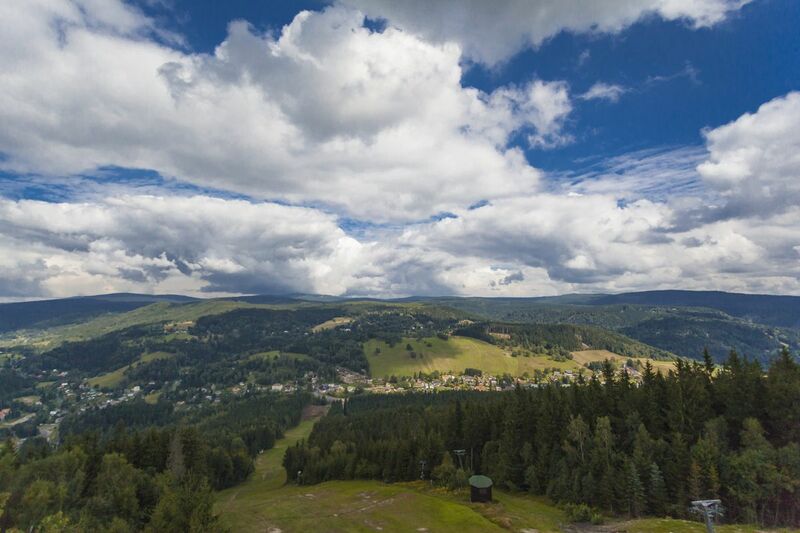 The hills and mountains of the Jizera Mountains are literally a second home for sports enthusiasts. A good infrastructure and high level of sports options ensure some great sports activities. During the summer, the Jizera Mountains are sought after for hiking, but in recent years cycling holidays have also become very popular. In winter they are literally a Mecca for cross-country skiers and family downhill skiing. Due to its undulating topography, skiers and cyclists have ideal conditions, which they widely use. A very extensive system of marked walking trails satisfies all tastes. Not only skiers and cyclists, but climbers too can find all they need here. Your sports experiences in the Jizera Mountains will be unforgettable! The Jizera Mountains are interesting not only for their natural beauty and sports possibilities, but also for their complex history. As was common in areas close to the border, in the past the area was ruled by the Czech crown and also by German lords. We can find traces of glass production in the Jizera Mountains from as early as the 14th century. 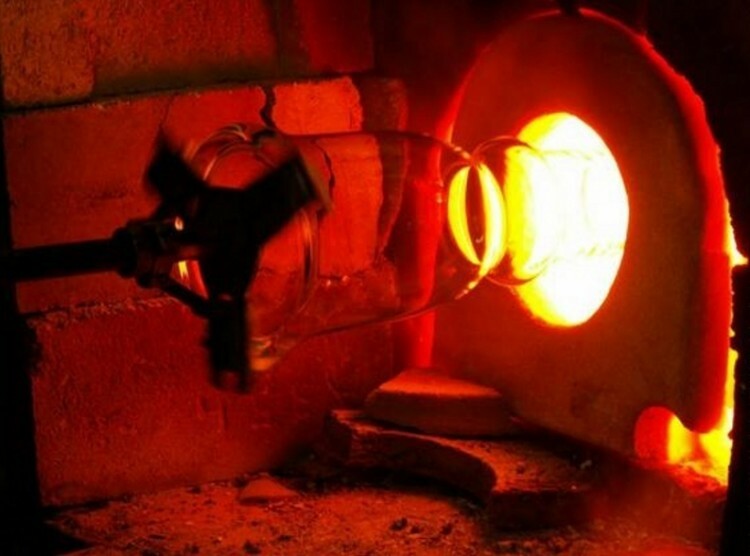 That is when the first glass workshop was established. But the real glass boom in the area was in the 16th century, when many glass factories were set up. 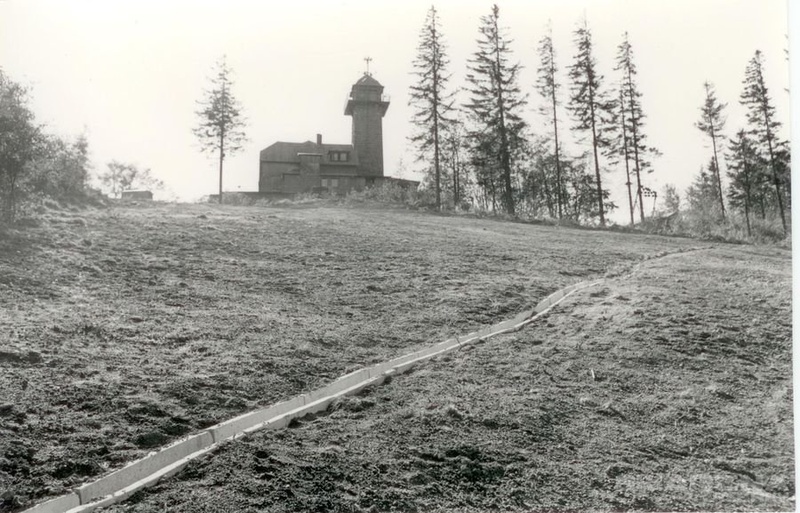 They brought not only an increase in the population in otherwise uninhabited areas, but also the cutting down of forests. Wood was an essential element in the production of glass. The Jizera Mountains are the northernmost range in the Czech Republic and are situated between the Lusatian Mountains and the Giant Mountains. They take their name from the River Jizera, which rises on the slope of the highest mountain, Smrk. Plateaus surrounded by granite hills and numerous peat bogs are characteristic of the area. Granite is the main rock here. The nature of the Jizera Mountains is very specific and dazzles visitors with its unique beauty.